Although transporting your cat to a different country may seem like a challenging task at first, once you understand everything necessary to make a successful transition, it becomes manageable. If you are transporting your cat to east Malaysia (Sabah), you will follow a slightly different procedure than the rest of the country, but all of Malaysia requires vaccinations and proper documentation to admit cats. Rest assured that we will help you through each step of the process so your cat arrives safety in their new home. An import license is required in order for your cat to be admitted into Malaysia. The Malaysian import licenses are issued by the State Director or the Director of General Veterinary Services, Malaysia. If your cat’s destination is Sabah or Sarawak, however, the license must be obtained through their individual websites. For pets travelling to Sabah If all the conditions of the Veterinary Certificate have been met the required 1 month quarantine period will be waived. Your cat must have been resident in New Zealand for at least 6 months prior to departure (or since birth). MPI will examine your cat on the day of departure they will be checking that your cat is healthy and free from any signs of disease both infectious or contagious. Your cat must also be free of any parasites. The MPI Vet will also check your cats import permit, vaccination book and cage to ensure everything is in order, they will then issue the Health Certificate required for cats to enter Malaysia. For cats travelling to Sabah they will need to be treated for ecto and endo parasites within 15 days of departure. This must be done by an approved Vet and details recorded in the vaccination book. 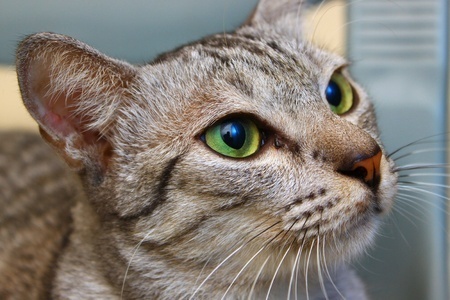 A rabies vaccination is required for Malaysian cat travel, but there are no requirements as to the length of time between the vaccination and the exportation of your cat. The vet must use an approved anti-rabies vaccine for the vaccination to be considered valid in Malaysia. If a case of rabies has been reported in New Zealand six months prior to travel (or five years prior if traveling to Sabah), your cat’s entry may be denied and/or your cat may be subject to quarantine. Your cat must be up to date on the annual vaccinations feline calicivirus, panleukopaenia, and rhinotracheitis according to the manufacturers recommendations. An ISO (International Standards Organization) compliant microchip must be implanted in your cat before he/she is allowed to travel to Malaysia. ISO microchips are what are used in New Zealand and Australia. If your pet has previously come from the USA or Hong Kong a new microchip may be required as they use AVID microchips. After all the arrangements are made and paperwork completed, we will take care of transporting your cat to Malaysia. You don’t need to concern yourself that the proper documentation is with them while traveling, because we will ensure that it is. The only thing left for you to do is pick them up after their arrival.